I agree that it would be good to replace the Human Rights Act with a Bill of Rights. I think that is the right thing to do. The Human Rights Act has been heavily criticised in the UK for a number of years and government criticism of particular court judgements is nothing new. Indeed the previous Labour government had on several occasions criticised the Human Rights Act (see here, here and here). The Human Rights Act allows individuals to argue that public authorities in the UK had violated their rights under the European Convention on Human Rights (ECHR) before UK courts. When introduced in 1998, the Human Rights Act was hailed as ‘bringing rights home‘, so that a litigant would not have to spend several years navigating their way to Strasbourg before their human rights claim was decided. It should also be remembered that the UK was at the heart of the negotiations in framing the rights protected by the ECHR in the 1950s. The debate on the Human Rights Act is wrapped up with concerns regarding ‘Europe’ and wide-spread myths regarding the precise impact of the Human Rights Act on UK law and policy. The ECHR is not some by-product of the UK’s membership of the European Union but of a different pan-European body, the Council of Europe. The UK has been a member of the Council of Europe, and a party to the ECHR, long before the UK joined what is now the European Union. (The ECHR should not be confused with the much more recent EU Charter of Fundamental Rights, which protects rights set down in ECHR and also respects certain economic and social principles, as well as setting down rights of EU citizens. This Charter sets down obligations for the UK when it implements EU law, see here and here). Nothing prevents a re-branding of Human Rights Act 1998 to a ‘British Bill of Rights and Duties’, however, the UK will still have to maintain minimum rights obligations set down in ECHR. 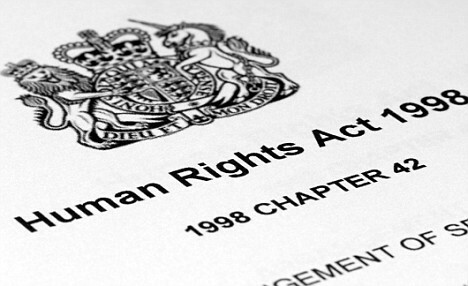 A Commission is currently examining whether the UK should adopt a Bill of Rights to augment the Human Rights Act. This should not be confused with the on-going efforts in drafting a Northern Ireland Bill of Rights. Britain could withdraw from the European Convention on Human Rights (ECHR) with six months notice. However, this would be exceptionally difficult, although admittedly not impossible, given that membership of the European Union is based on respect and protection for the rights set down in the ECHR. In addition, the EU is currently acceding to the ECHR, so in the exceptionally unlikely event of the UK denouncing its obligations under the ECHR, it would still have to act in an ECHR compliant manner when implementing EU law. The Human Rights Act 1998 must be defended and built upon as part of further progress in the promotion and protection of human rights within and across all jurisdictions. To do otherwise, from a Northern Ireland perspective, is to invite an unnecessary and unwelcome discord. However, this does not prevent the UK government from replacing the Human Rights Act 1998 with an equivalent UK wide Bill of Rights, once this at least reflects the minimum rights protections set down in the ECHR. If it were to scrap the Human Rights Act, and not replace its core aims with such a Bill of Rights, then it would break its international agreement with Ireland on the protection of human rights in Northern Ireland. However, this is not to say that Ireland would necessarily complain about any changes, given that Ireland itself changed fairly fundamental citizenship provisions attaching to the Belfast/Good Friday Agreement (not that the US Embassy in Dublin was all that surprised). It is party political conference time, Conservative grass roots and some back bench MPs all want rid of ‘pesky’ interference from ‘Europe’. May’s comments are designed to play to this base. By coming out and attacking the Human Rights Act, it will be enough to promise action into the future and we may see a re-branding of the Human Rights Act as some form of British Bill of Rights (Northern Ireland may even get such a Bill of Rights with a different name for obvious reasons! ), yet, in the end of the day, the UK will remain a contracting party to ECHR and the rights protected will remain enforceable in UK courts.